Our business is embroidery, and we have been doing it for over 35 years! This page will guide you through your first embroidery project. 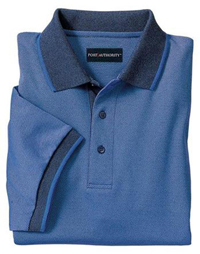 Think of Corporate Casuals as your embroidery consultants. We have years of experience, some of the best online embroidery tools, and a catalog chock full of apparel. All sorts of items can have embroidery applied; hats, shirts, jackets, bags, blankets, baby bibs, towels the list is almost endless. An embroidery charge will cost between $3.50 to $6.00 per unit depending on stitch count and quantity. Choose items that will be durable and look good after months of use. If your organization has a logo, then this step may be as simple as obtaining a graphics file of your logo and uploading it to our web site. If not, you will need to choose a graphic that meets your needs. There are many places on the web you can visit to gather some ideas. The last thing to think about is how your embroidery design will fit on the items you have selected. 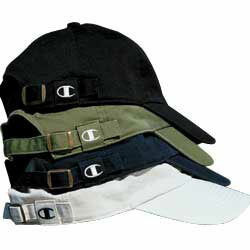 Hat logos have a size restriction of 2.25 inches. If you want your design to fit on pretty much everything, do not make it larger than 2.25 inches high by 4 inches wide. Some customers prefer to create two versions of their design, one for hats and one for shirts (2.25" x 4.00" and 3.00" x 4.00"). Mark Twain said it best "If I would have had more time, I would have written you a shorter letter." It takes a lot of skill and much more time to write concise text and copy. When designing embroidered logo's shorter is better. Mark Twain had it easy; he could write smaller and use more paper. In the embroidery world, text can only be stitched so small, and there is often limited space. Think carefully about the text you want with your logo. Be precise and try to use the fewest letters possible. Embroidered text may be stitched no smaller than 3/16" tall. Practically speaking, if you want people actually to read your message you should plan on text that is 1/4" to 1/2" tall. The number of letters you can use is a function of the text size and maximum width of the item. Most embroidered garments have a four-inch wide area for design and text. Use our design studio to see how many letters you can fit on a 4-inch (wide) logo. Even with computers and automatic spell checking, designs with incorrect spelling are submitted all the time. This is especially true of proper names and unusual words (radio station call letters for example). Another common place for mistakes is selecting colors for the embroidery. Always be sure the colors in your design contrast sufficiently with the item you are embroidering. If you do not have artwork in a common embroidery format, you will need to have someone convert your artwork into an embroidery format. This process is called digitizing, and you can expect to pay about $35.00 - $100.00 for an experienced digitizer to do this conversion. Rather than arranging for digitizing yourself, it is much easier to have it done by the embroidery shop that will be stitching your items. Since some types of fabric can be challenging to embroider, using the same shop for everything allows the shop to adjust the design so that it will stitch well on their equipment. If you are organizing a large order, you may want a sample of the items. Any reputable embroidery shop will have a program where you can get a sample of the items you plan to buy. Expect to provide a refundable deposit on a major credit card to secure the samples. For large orders, you may want to see a sample of your design. Most embroidery shops can send you a sample stitched on a piece of scrap material. Some shops can create an electronic sample in a graphics format such as a PDF file for review on a computer screen. At Corporate Casuals we offer an online proofing system to make the proofing process quick and painless. By this time you have your samples and design, you need to place the order. Most people don't realize that clothing can be quite heavy especially when you are dealing with larger orders. Proper planning will ensure that you can ship via ground to get the best shipping rates. Don't forget to return those samples. If you fail to return them, you will be charged. After the first order, reorders are simple. Color changes can be made without any trouble at all. Modifications to the stitching or size will still need approval but will be easier because you have point or reference in the original design. The easiest way to re-order is to have your logo saved online in your account so you may select the garments and automatically check out. Reorders should take no more than a few minutes to place once you have decided on the garments.